Sorry I missed Friday's post, its been crazy busy here. 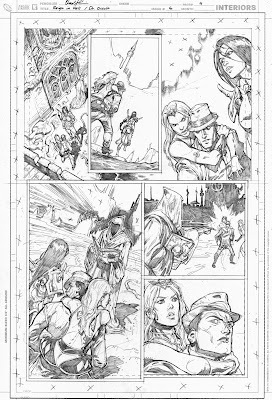 Here is a glimpse of a new pulp cover I'm doing for Ron Fortier. I'm digging it so far, hope you do too. 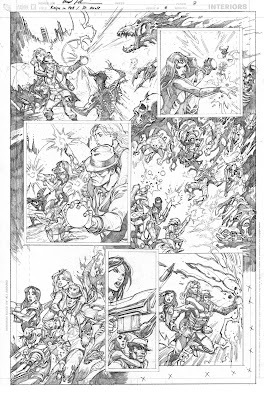 I'd like to announce my second Marvel job, solicited for April 2009 (No news yet on my first gig, I'll keep you posted). 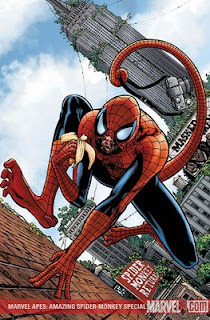 Marvel Apes: The Amazing Spider Monkey. Which is a contradiction, because monkeys are not apes, but hey! I'm doing the back-up "Darwin" story. Its sure to blindside you! Have your local comic shop put it in your hold for ya! 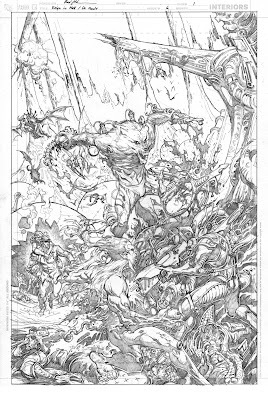 This cover art (shown in the post) was masterfully done by John Watson, you'll have to pick up the issue if you want to see my stuff. What a crazy week. I got my first assignment for Marvel off! Can't wait to see that one in print. Its going to be a while but I'm still excited. I'm wrapping up another Pulp Cover for Ron. I hope to get it up on the blog soon too. Since I don't have new stuff that I can show I figured it would be a great time to do a flashback. Here is one from four years ago. I was happy to see they still hold up. 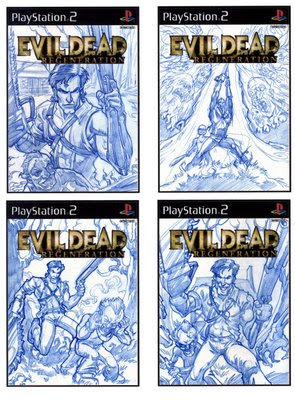 These are comps for Evil Dead: Regeneration done way back in 2005. I hope to have some new stuff to show soon. Trust me I'm working on it but I want to make sure its on the racks before I post it. Hey Guys, Sorry for the down time. The new year has been extremely busy. Which is good because that means my family isn't in a breadline. From here on out expect an update every Tuesday and Friday. Some updates will be new some will be flash backs as I'm prepping for my annual back-up marathon. 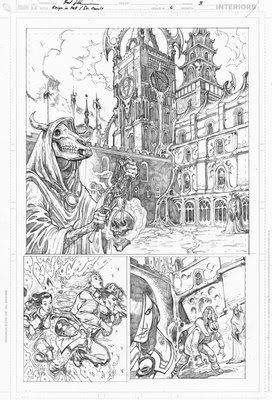 In the mean time enjoy the Reign in Hell pencils from issue #6. Click "Catskill" to buy my artwork!